A sensorial experience of the vision of Colombian architect Rogelio Salmona. A visual journey through the spaces of the collective, social and political vision of Colombian architect Rogelio Salmona in Bogotà, Colombia, the film is the result of a collaboration between the filmmaker Enrico Mandirola and the architect Juan Pablo Aschner. "Euritmia" intertwines the visual experience of an architectural space with the communicative and sensorial attitude of the cinematographic language. By means of an experimental research with the cinematic image, Mandirola and Aschner use light, space and time to communicate the project through the simulation of an everyday audiovisual experience. Their main aim is to involve viewers in a realistic and touching discovery of the corridors and paths of the buildings and spaces designed by the Colombian architect, even from a distance. 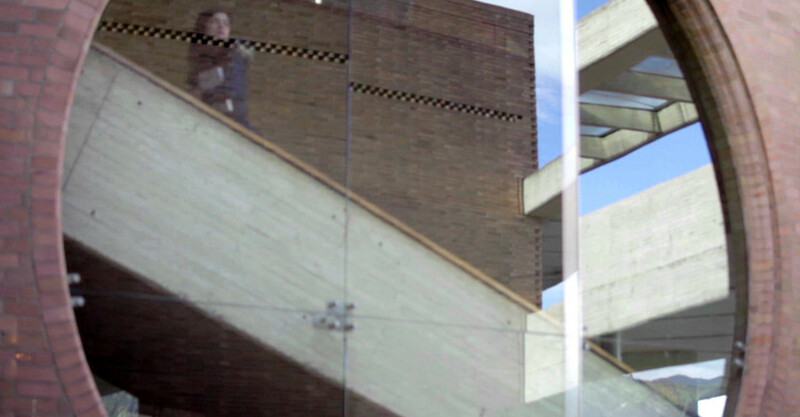 The film is made of three transitional blocks (overture, interlude and epilogue) and six thematic blocks that are focused on six of Salmona's projects: Biblioteca Virgilio Baórco ("Reflejos"), Edificio de Posgrados, Universidad Nacional ("Trazas"), Centro Cultural Gabriel García Márquez ("Misterio"), Archivio General de la Nación ("Memorias"), Centro Cultural Jorge Eliécer Gaitán ("Olvido"), Torres del Parque ("Fuga").